A very thinly potted small qingbai porcelain bowl, the deeply rounded sides rising from a short foot and terminating in a flared, unglazed rim. The interior is impressed with a design of two wild geese flying among floral sprays, centred on a round flower, and below a border of key-frets. 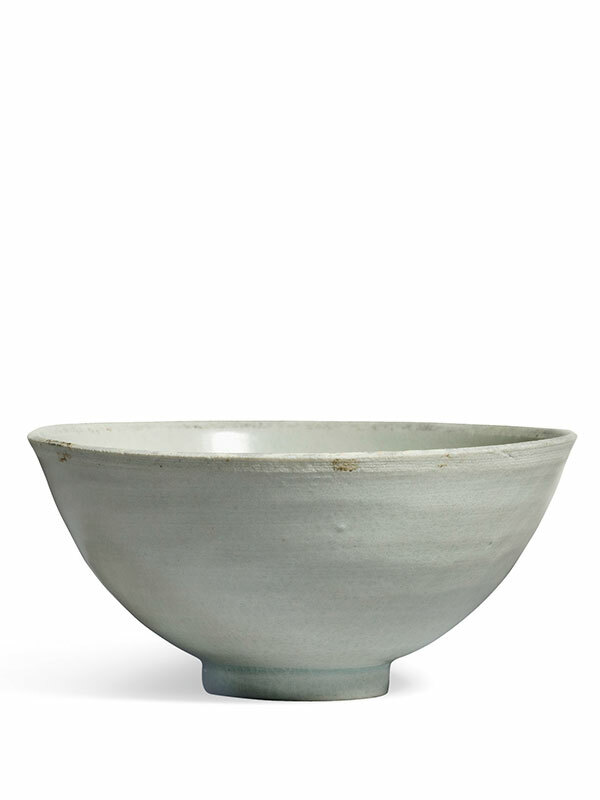 The bowl is covered inside and out in a thin, transparent glaze of pale blue hue, leaving just the rim uncovered. The unglazed rim is characteristic of the process of inverted firing, which also results in a completely glazed base. The unglazed rim of such pieces was sometimes encased in metal to prevent damage. The impressed design of wild geese in pairs represents peace, prosperity and marital fidelity. A small qingbai porcelain dish, impressed with a comparable decoration of a wild goose flying among floral sprays, was excavated from Suining city in Sichuan province and is dated to the Southern Song dynasty. It is now in the collection of the Suining Municipal Museum. A Southern Song qingbai porcelain cup of slightly smaller diameter (8.5cm) and comparable decoration, with two fish swimming among floral sprays and encircled with a key-fret border, is in the collection of the Jianxi Provincial History and Ancient Ceramics Committee. 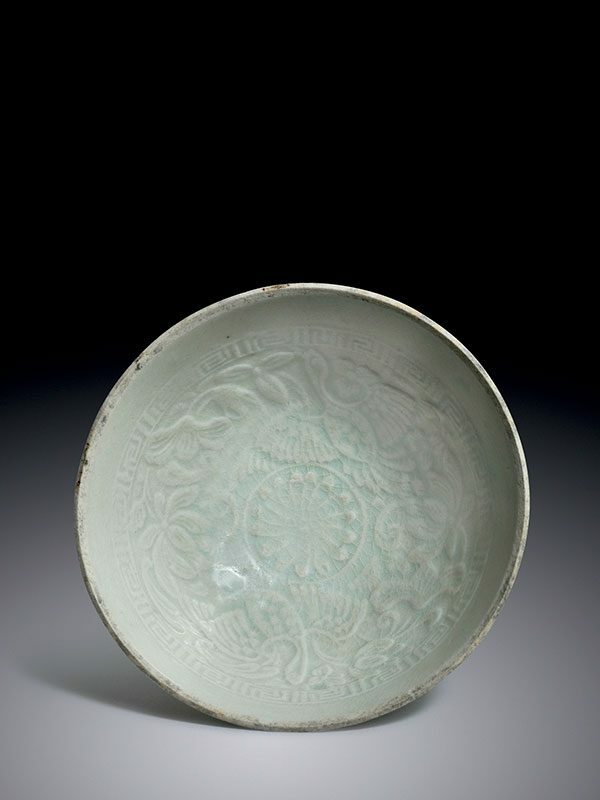 A slightly larger qingbai porcelain bowl, dated to the Southern Song dynasty and similar in the thinly potted body but with a much simpler decoration of incised lotus, is in the Avery Brundage collection at the Asian Art Museum of San Francisco.